3rd pub of the day, had been told that they pull White Rat constantly and they were doing that when we reached the bar, our 7 hands added to quite a few more when a barman checked we were all after it. Couldn’t go wrong £2.85 for a 4% beer. Plenty of other Rat beers too as well as Silver King and Yorkshire Blonde from Ossett Brewery to name a couple of the others. Excellent pub, look forward to a longer visit next time. Just seems to be slightly losing it's edge over the last year or so, probably due to successive changes of manager. Beer choice a bit limited due to Rat & Ossett ties and quality's (only!) 9/10. However, contrary to comment below the White Rat is probably one of the best pale hoppy beers you'll ever taste. Fingers crossed it'll settle down and come true soon enough. 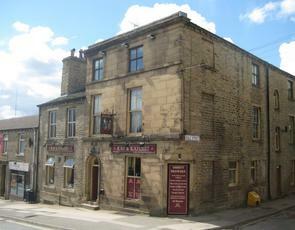 An Ossett pub and home to the Rat brewery. It's situated just outside the town centre and has several different nicely decorated drinking areas in a pub similar to other Ossett establishments I have visited. There's a good selection of ales and one cider on handpull. However look out for the cider list, as there are other ciders in boxes at the side of the bar. Ales on during my visit were Goose Eye Bitter, Ossett Silver King & Yorkshire Blonder, Rat King Rat, White Rat, Dubbel & Soratchi Ace, Saltaire Triple Chocoholic & Butcombe Chinook APA. Ciders were Pulp Damson, Whin Hill Dry, Chant Singing Cider, Once Upon A Tree Tumpy Ground & Dorothy's Orchard & Twisted Desert Dry. I tried the Whin Hill and the Triple Chocoholic. Both were in good condition. It was fairly busy on my Saturday evening visit. But there were still tables to be had. Another Huddersfield highlight. Very impressed. A 9/10 from me. Well, there’s no doubt that this is a really good pub. There are about 10 beers on handpump, including some from the Rat brewery (on the premises), Ossett (own the pub) and some guests. Beer quality is pretty good as well. And they also have a couple of “craft keg” Rat beers. 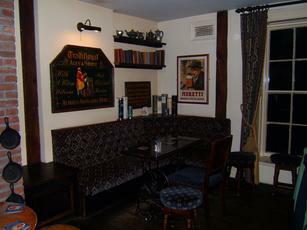 The place has a large drinking area by the bar, numerous little alcoves for groups to congregate in. However, I was distinctly disappointed with the place ! Maybe it’s because Rat beers have such a reputation in my local (Beerdock, Crewe) that I was expecting the brewery tap to be something quite extraordinary. 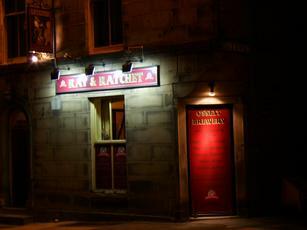 And the exterior proclaims “home of the Rat beers, including our flagship White Rat” – err never heard of that one ! I did try it there, and it’s nowhere near as good as the ones we get in Crewe (King Rat, Crazy Rat, Rat Against the Machine, Rat Poison). Also, there was annoying music being played, which made it hard for me to hear what my softly spoken friend was saying. 7/10 – maybe it’s better when they have a Rat beer festival on ? Just been to their beer festival this weekend. It was a reet good do! Nice chilled tunes in the beer garden and great beer. Nicely decorated since last visit. Must go again soon.